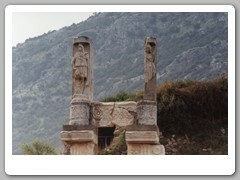 This ancient city dates from 11th century B.C. 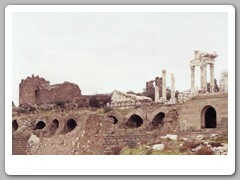 It was one of the first five cities of the Roman Empire; it was visited by Brutus, Cassius, Antony and Cicero. 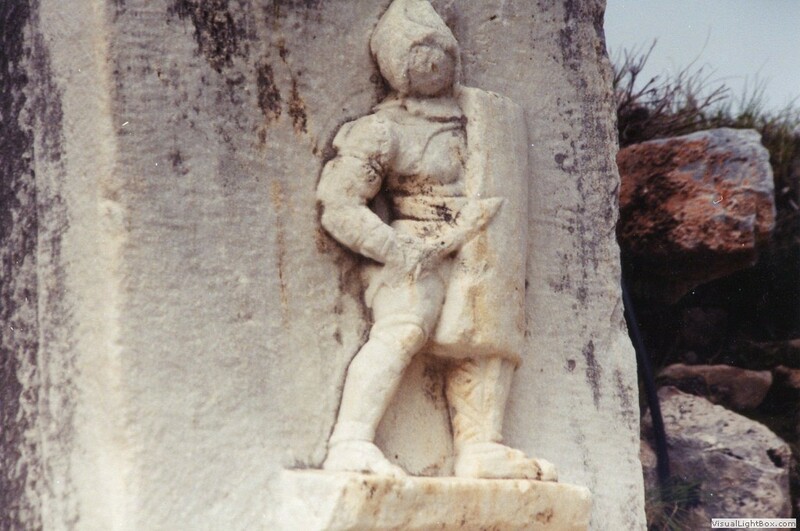 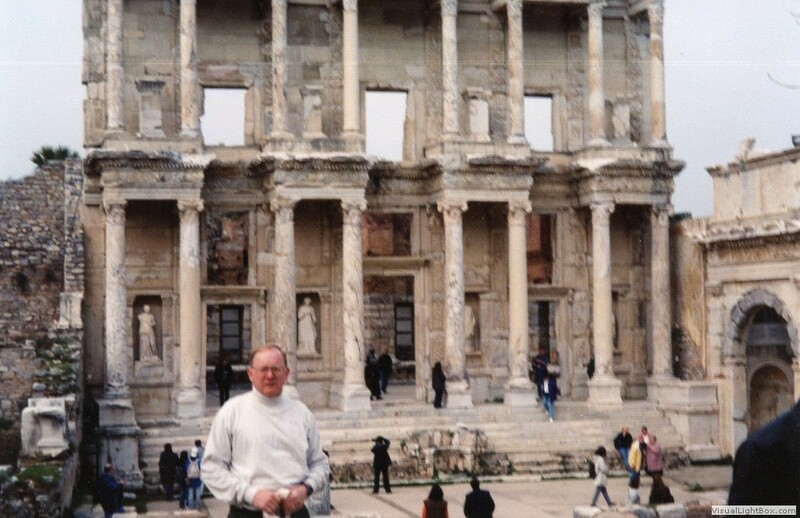 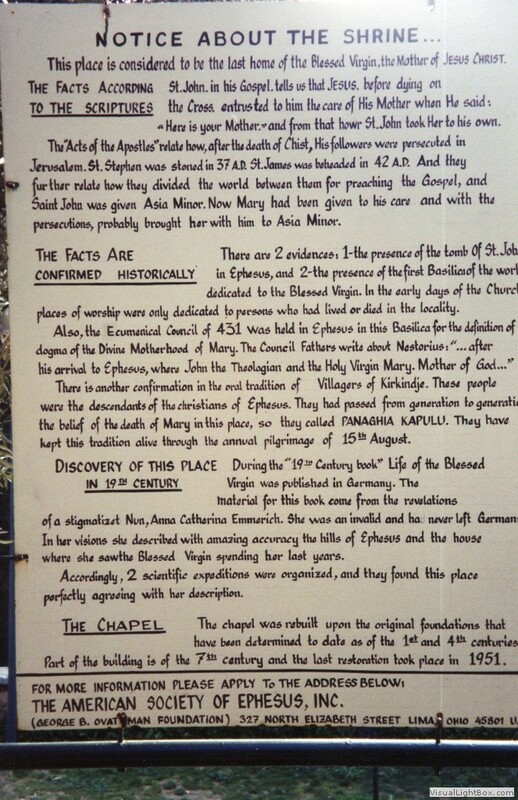 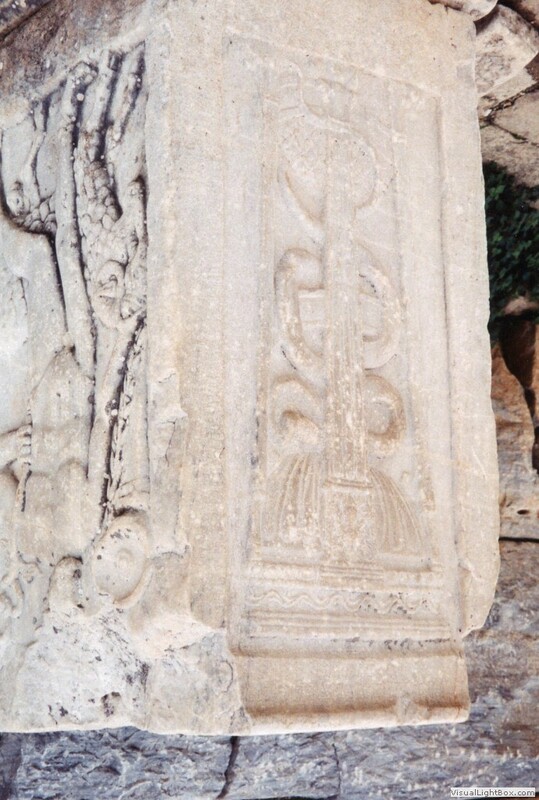 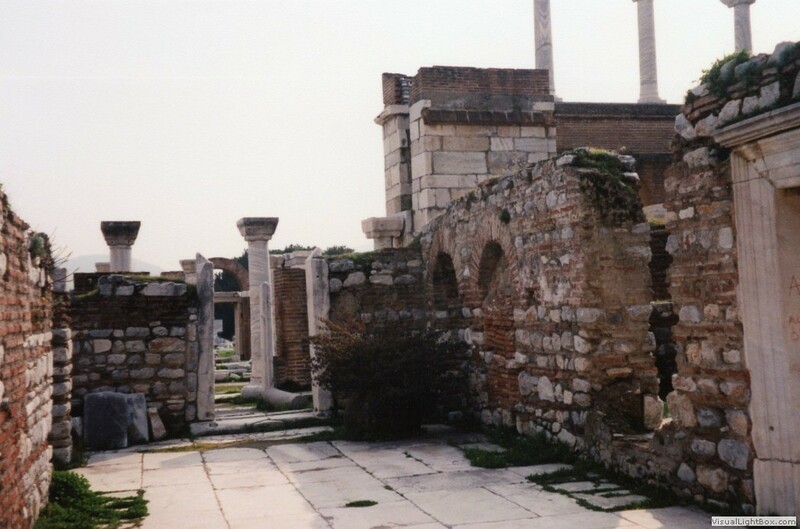 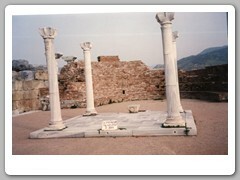 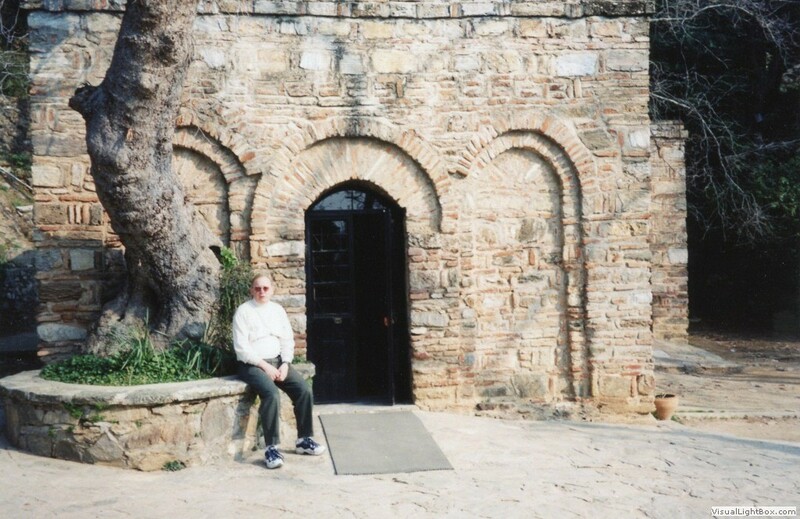 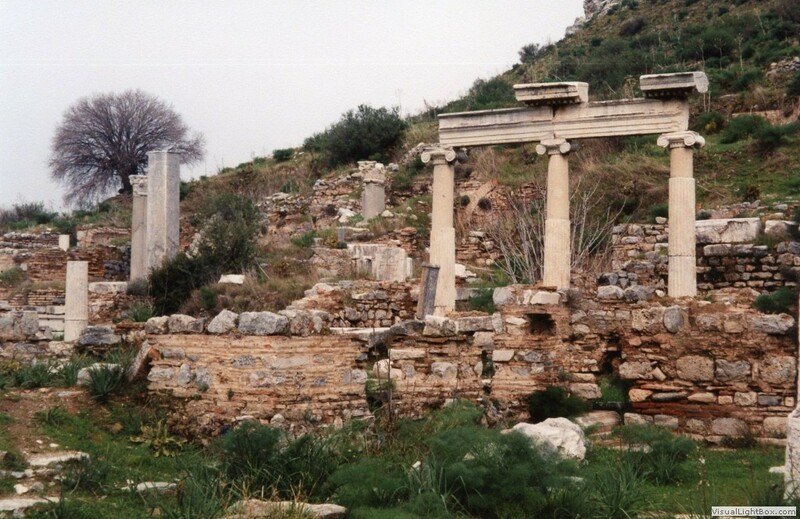 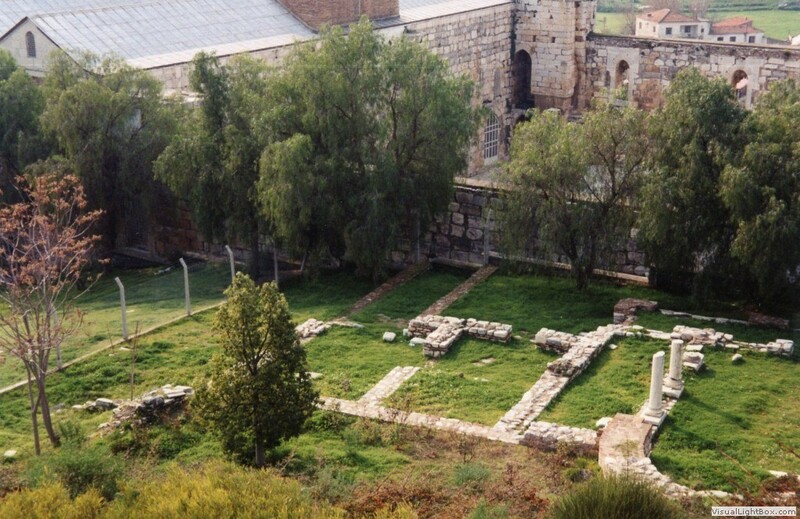 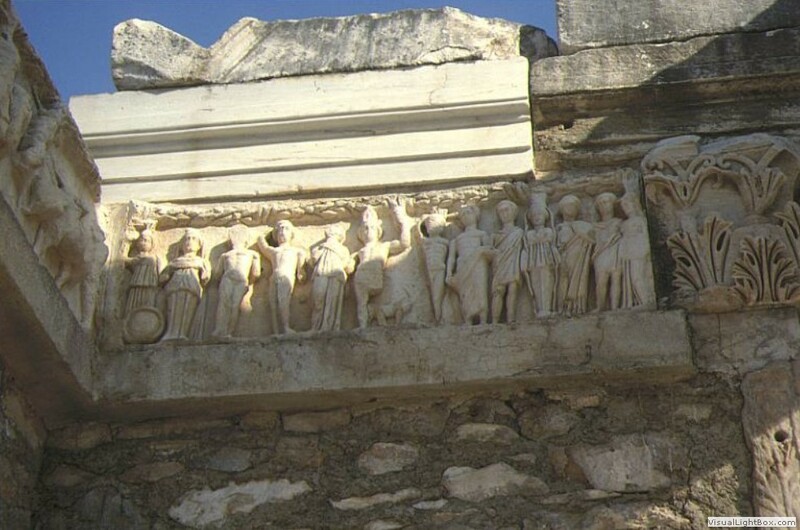 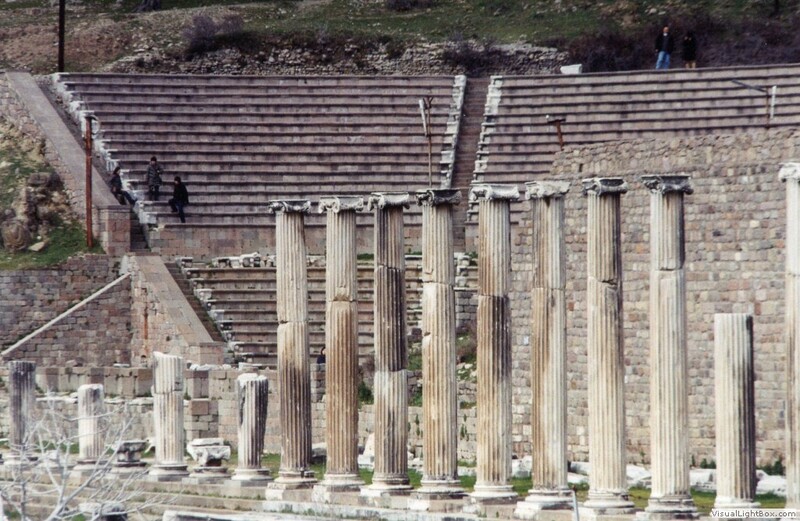 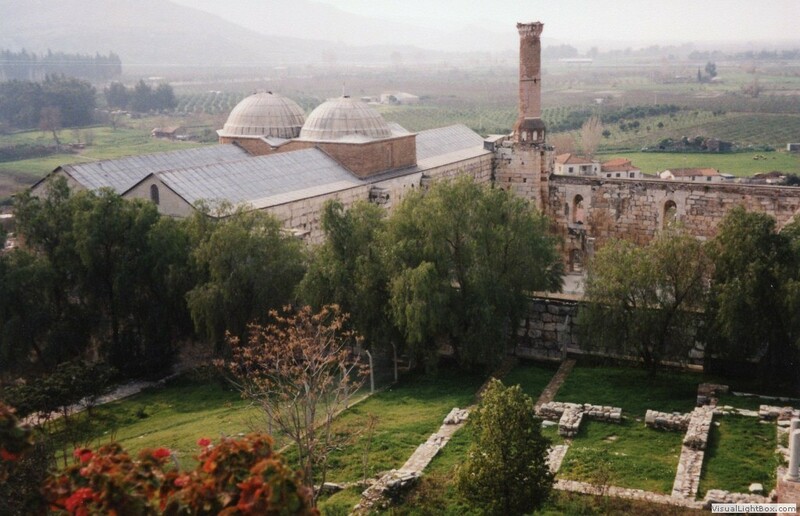 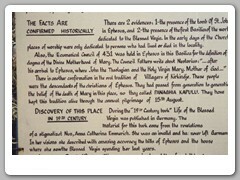 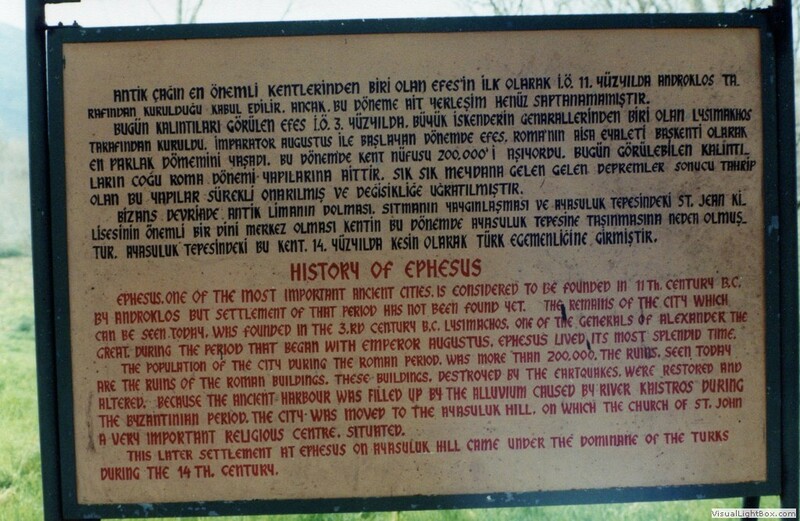 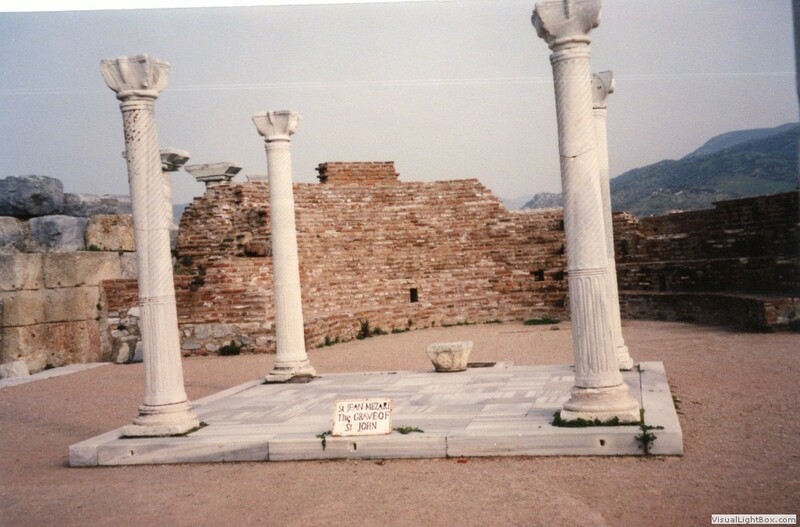 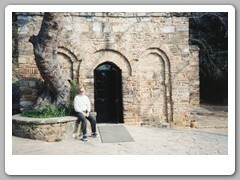 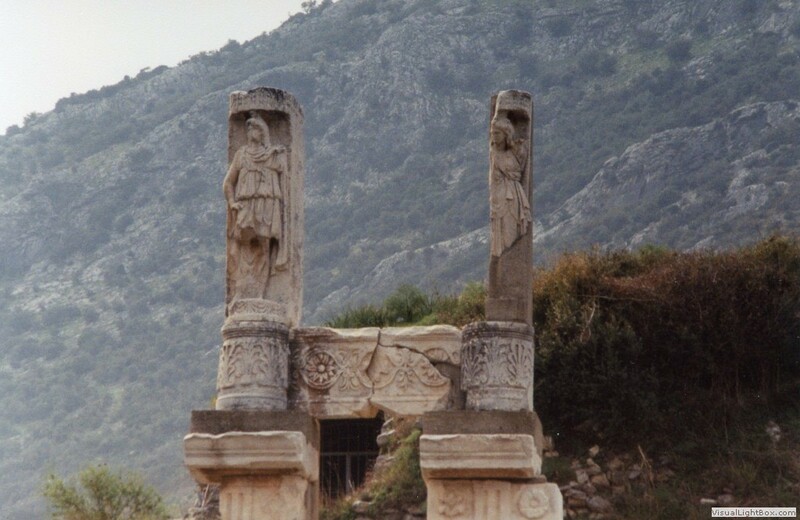 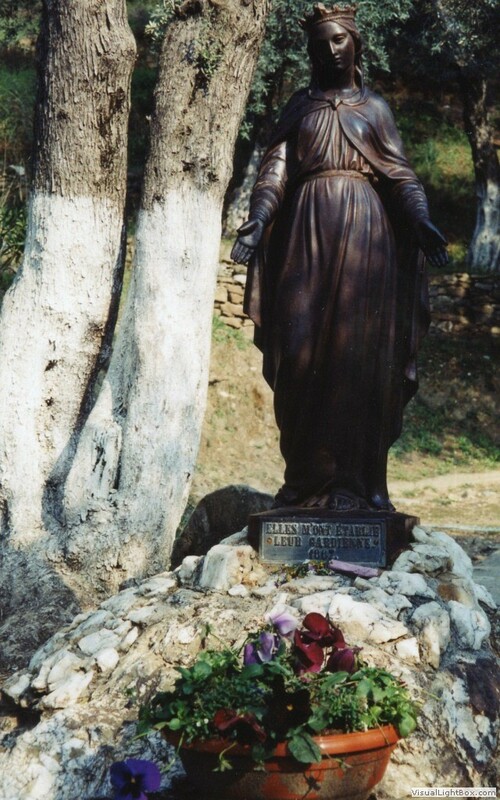 The preaching of the Apostle John (buried nearby) and the Virgin Mary choosing it as her place of residence after the crucifixion, turned Ephesus into one of the places in Christian history. 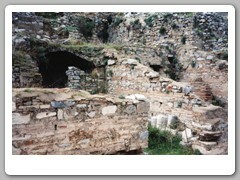 Population was estimated at 200,000. 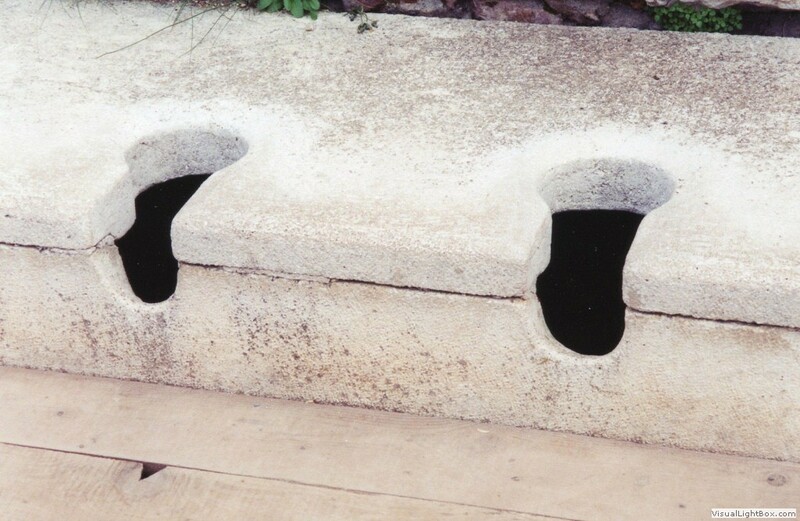 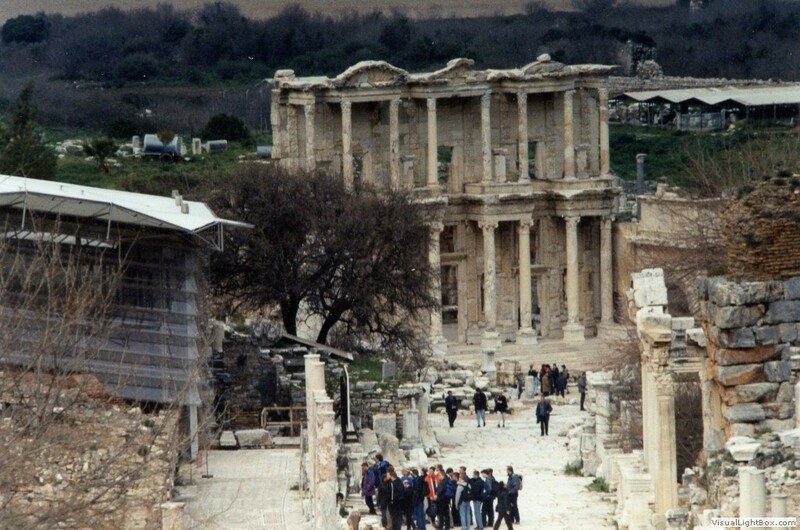 Its decline began in the 3rd century when it was conquered and sacked by the Goths. 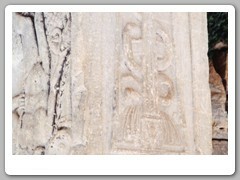 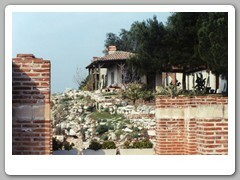 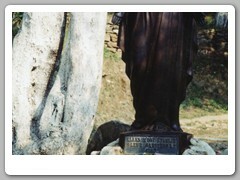 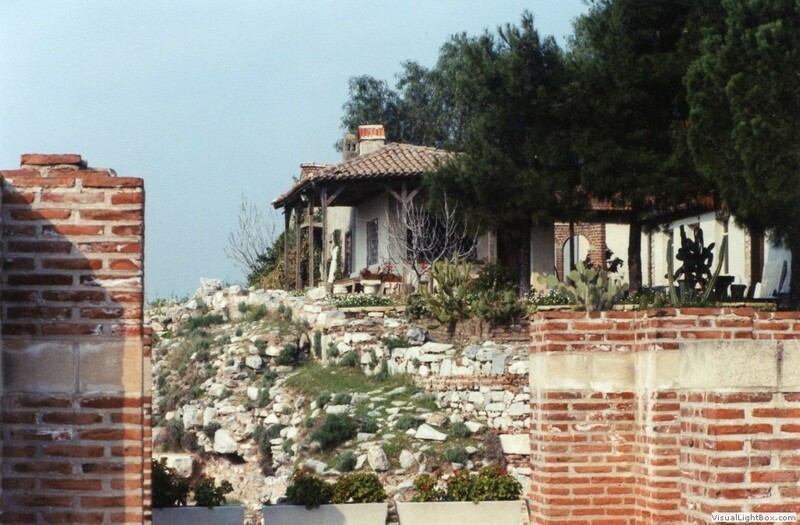 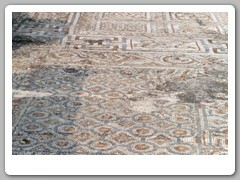 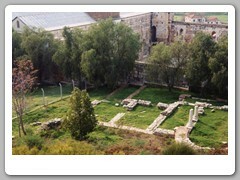 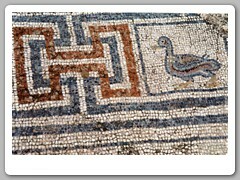 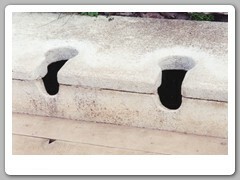 In 1869 archeological excavations started the restoration which still continues. 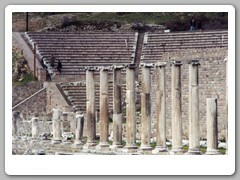 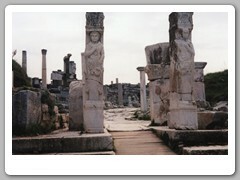 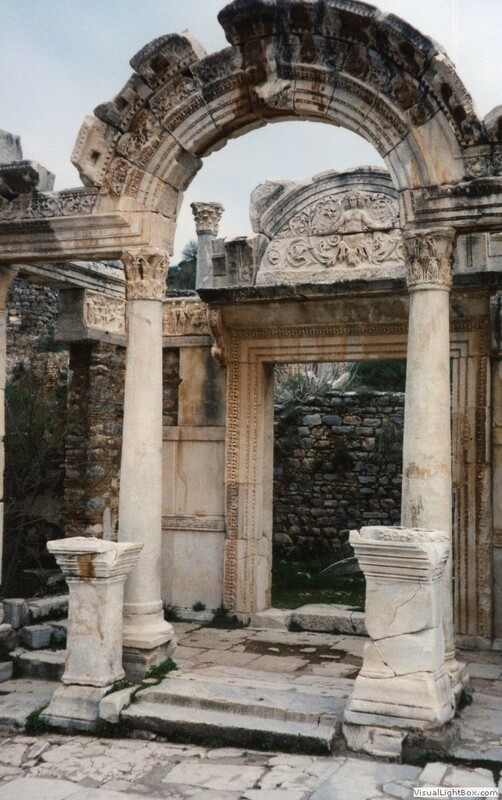 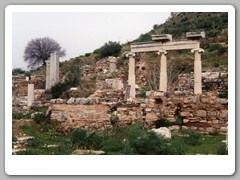 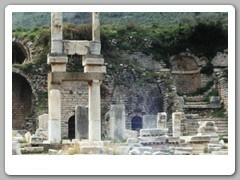 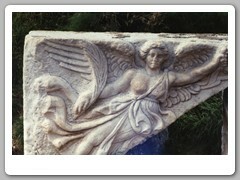 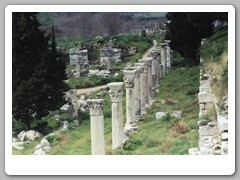 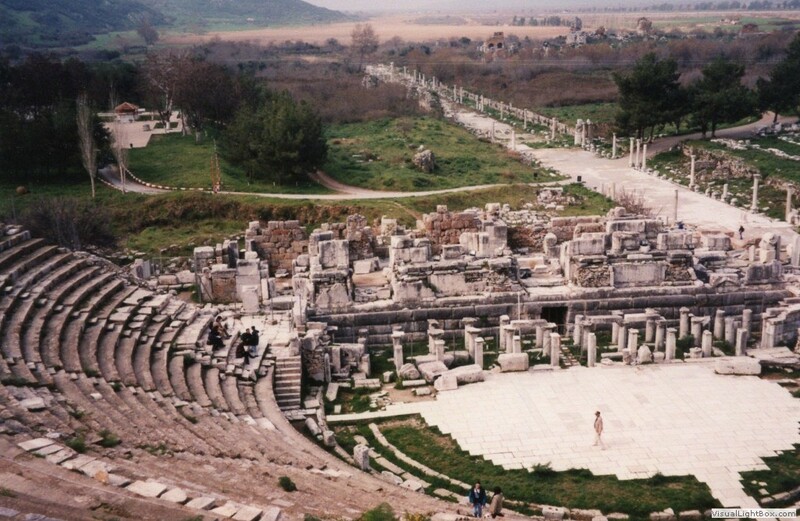 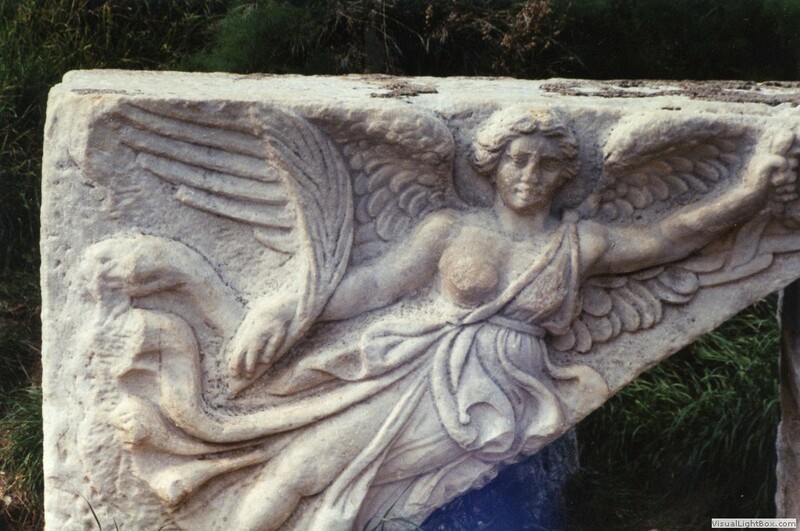 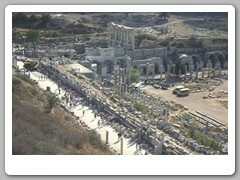 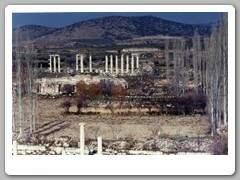 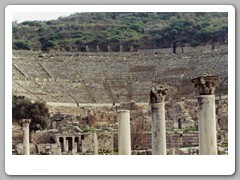 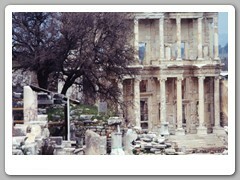 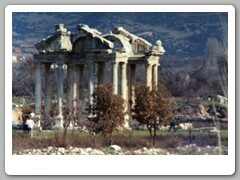 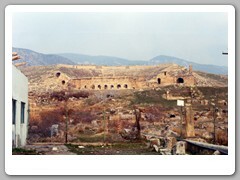 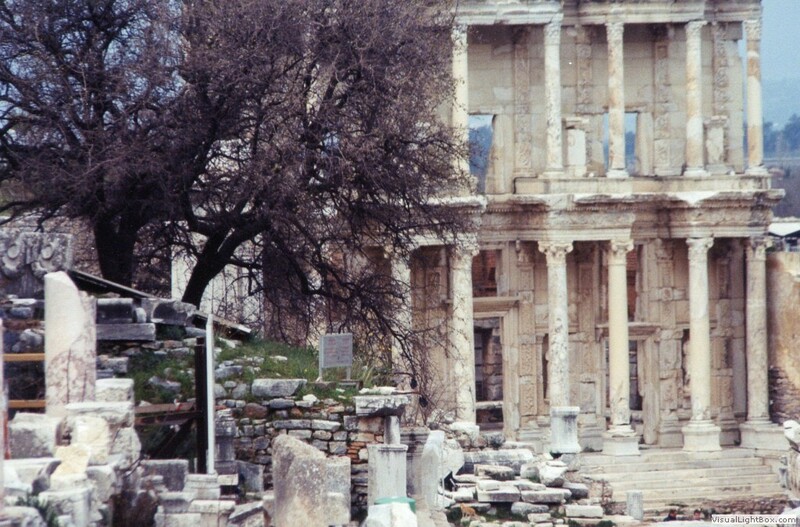 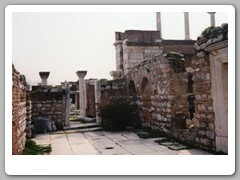 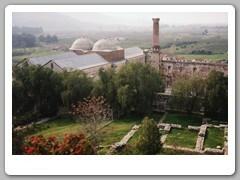 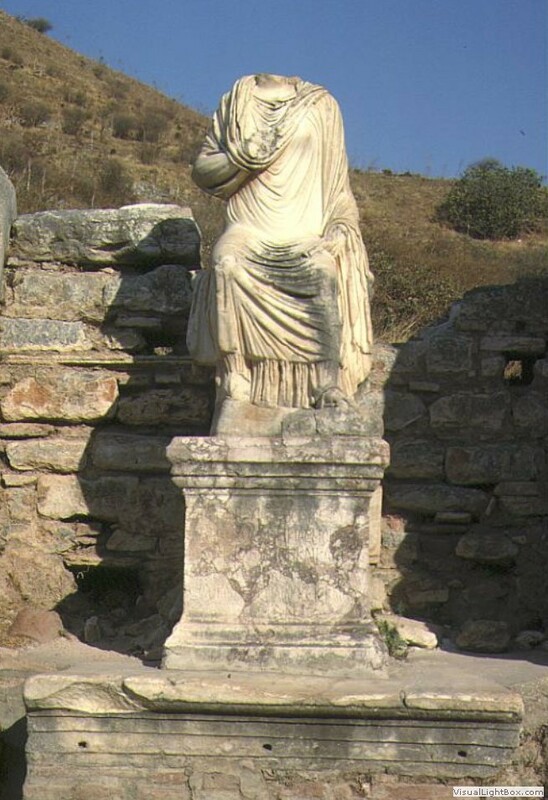 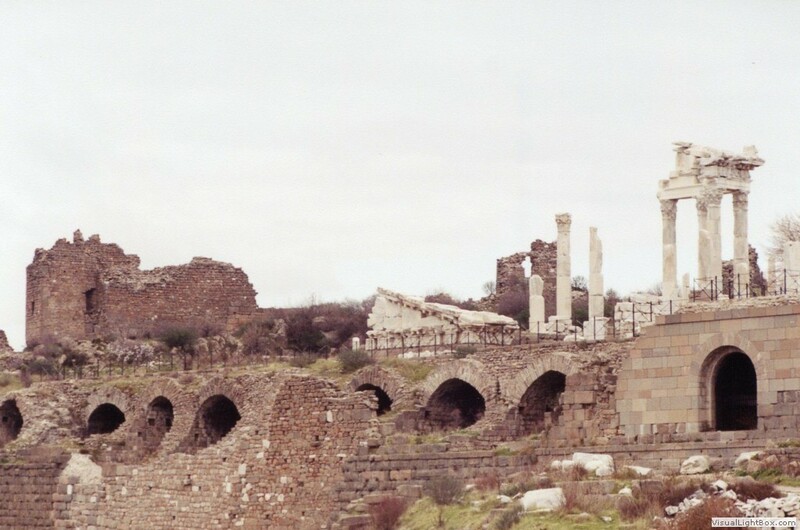 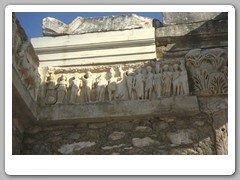 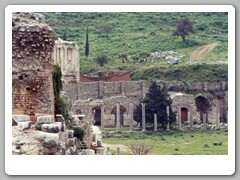 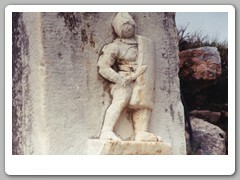 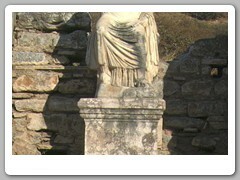 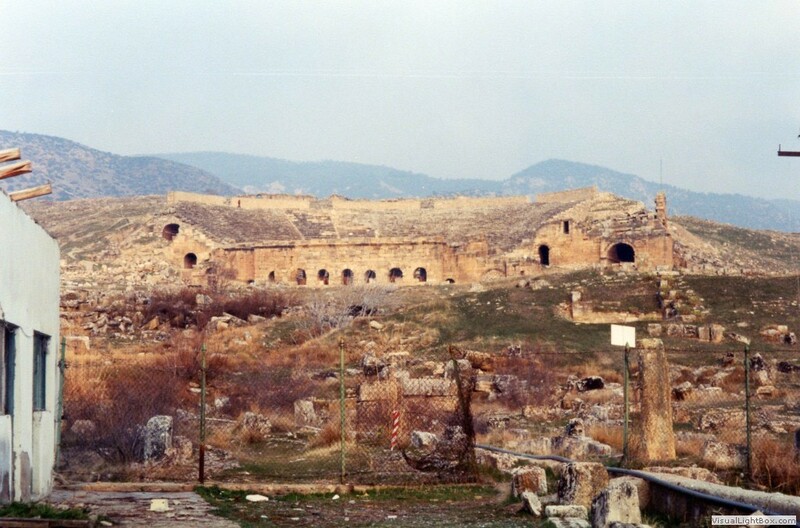 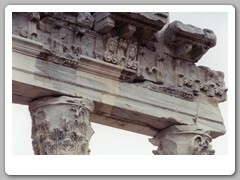 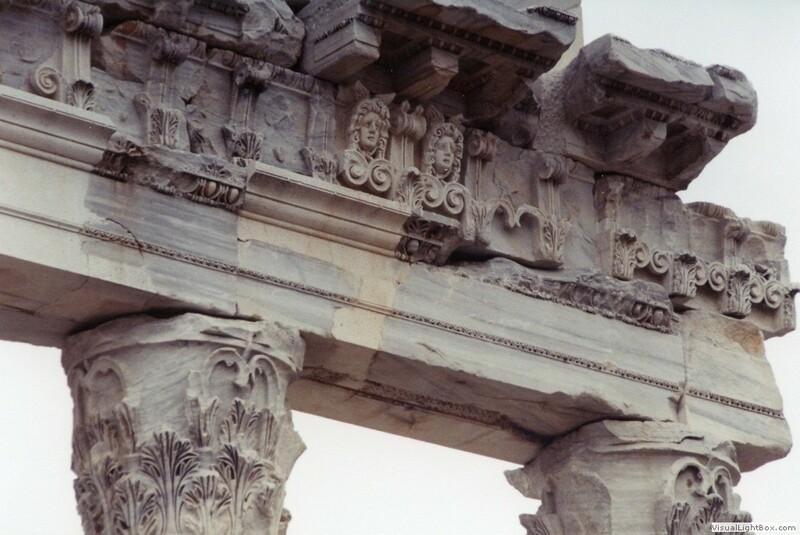 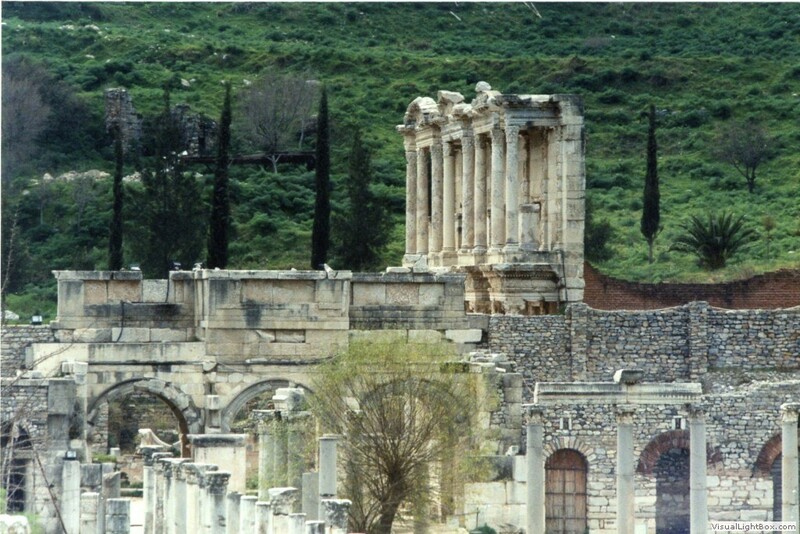 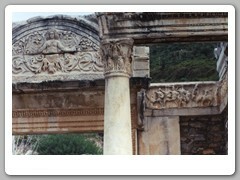 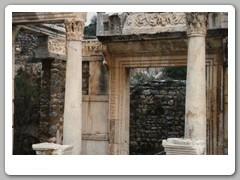 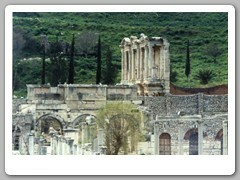 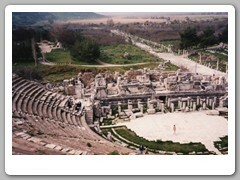 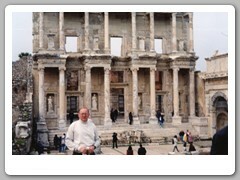 Of Turkey's hundreds of ancient cities and classical ruins, Ephesus is the grandest and best preserved. 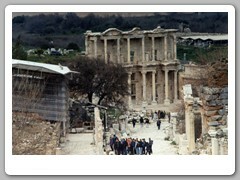 It is advertised as one of the best preserved ancient cities in the world. 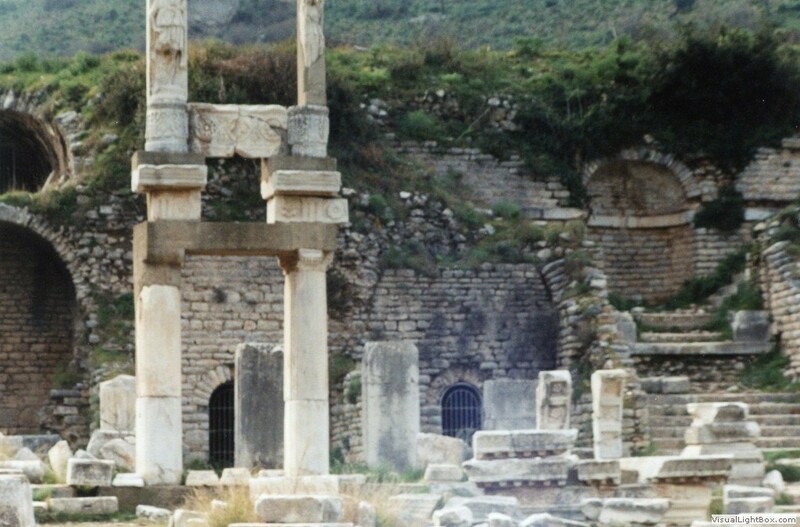 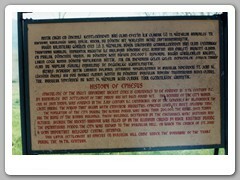 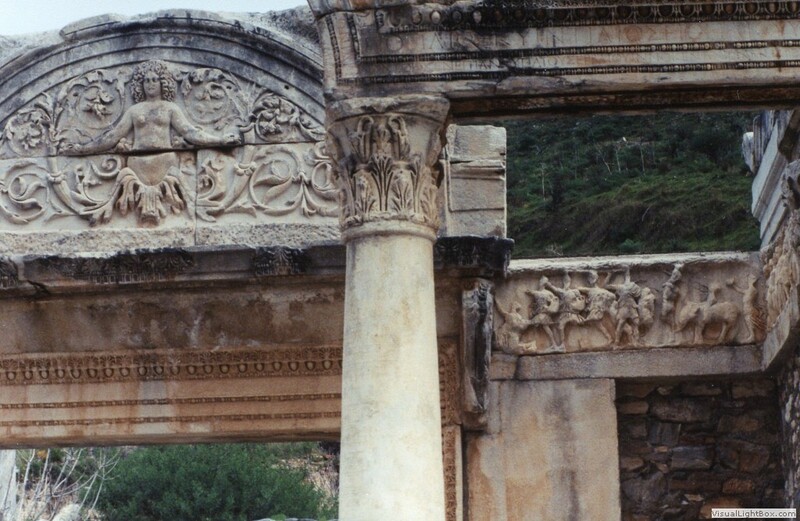 Ephesus was Ionia, a flourishing cultural center during the Greek Empire, and a busy provincial capital during Roman times. 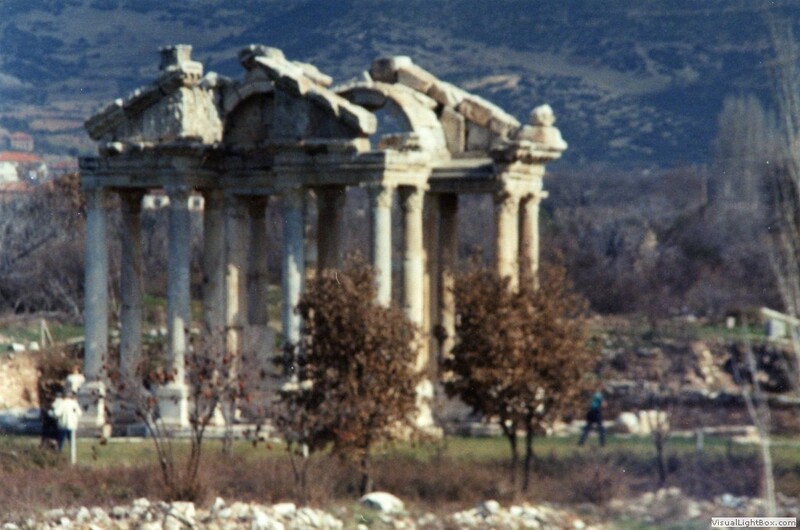 Ionia's Temple of Diana was counted among the Seven Wonders of the World, and the city was generally renowned for its wealth and beauty. 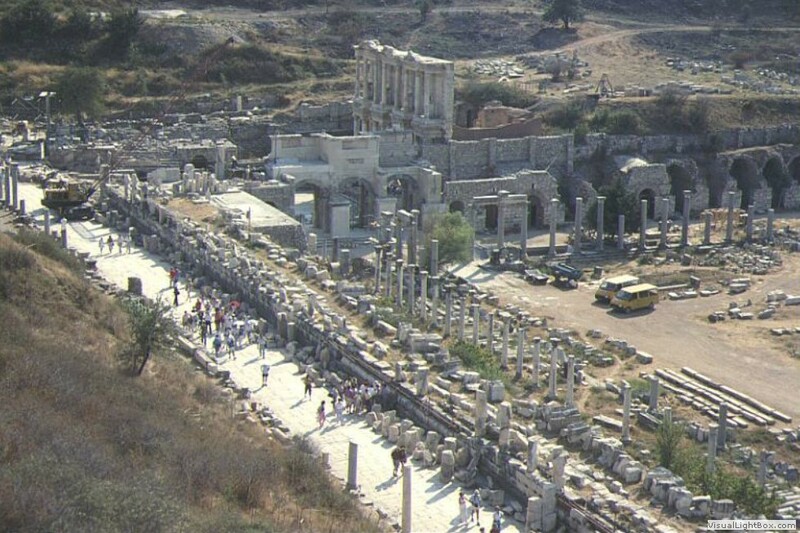 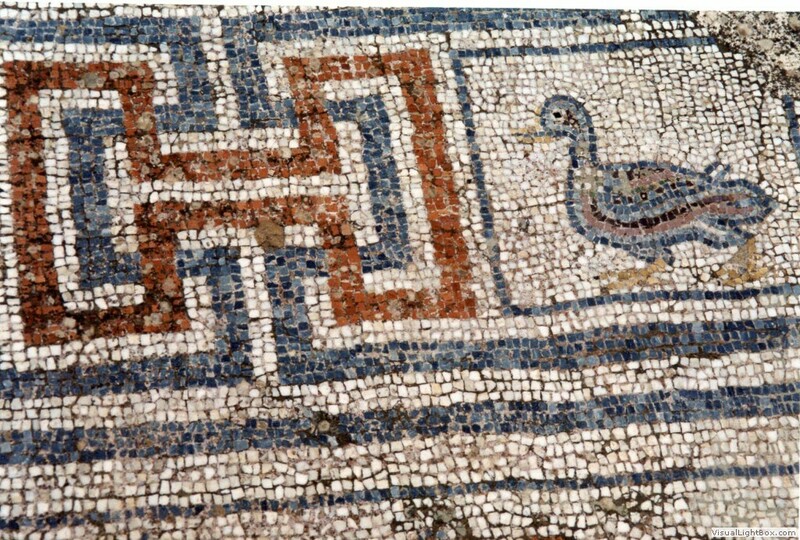 We walked on the grand marble-paved Arcadian Way, saw the Temple of Hadrian, Library of Celsus, mosaic tiled street, scattering of fountains, brothels, libraries, amphitheater, terrace houses and public toilets. 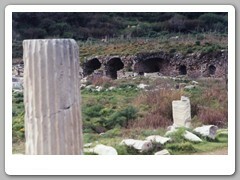 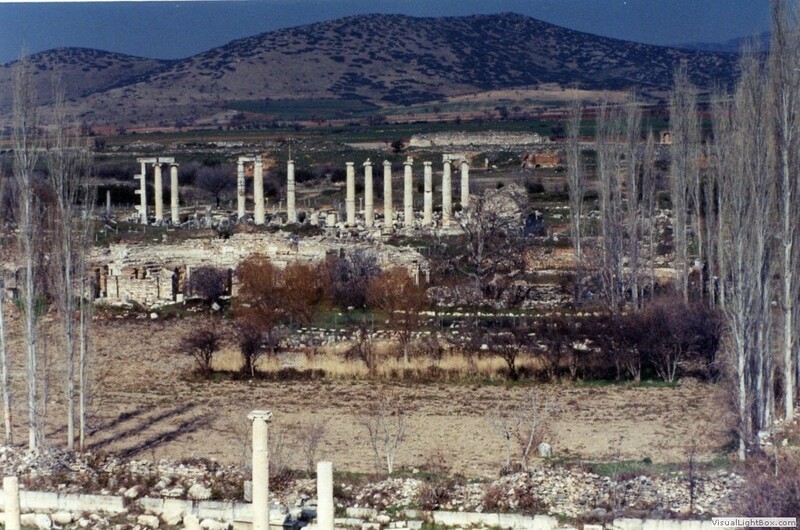 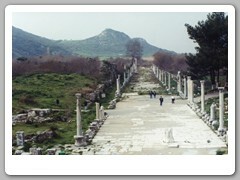 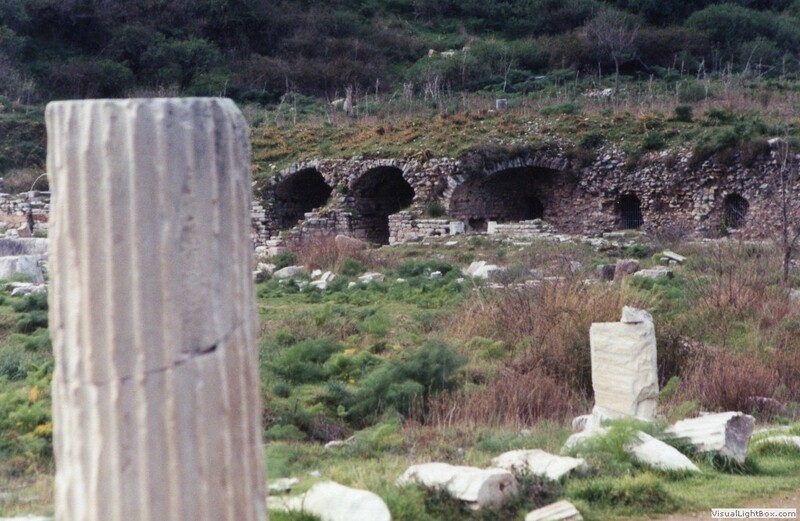 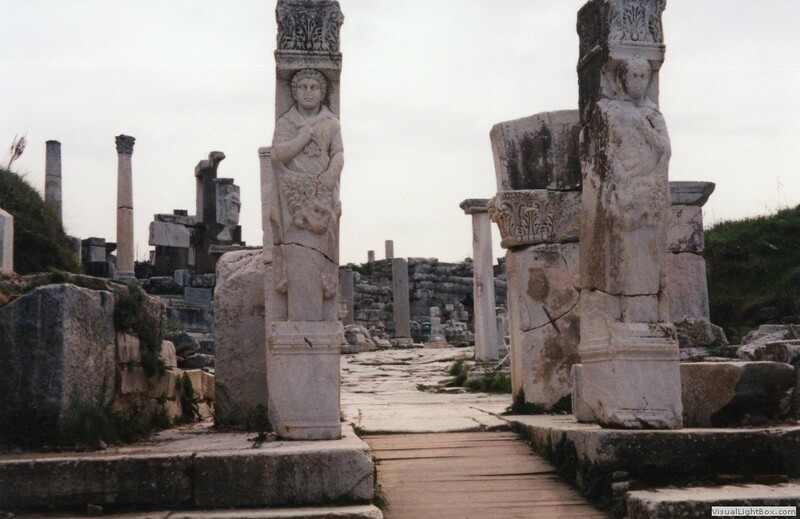 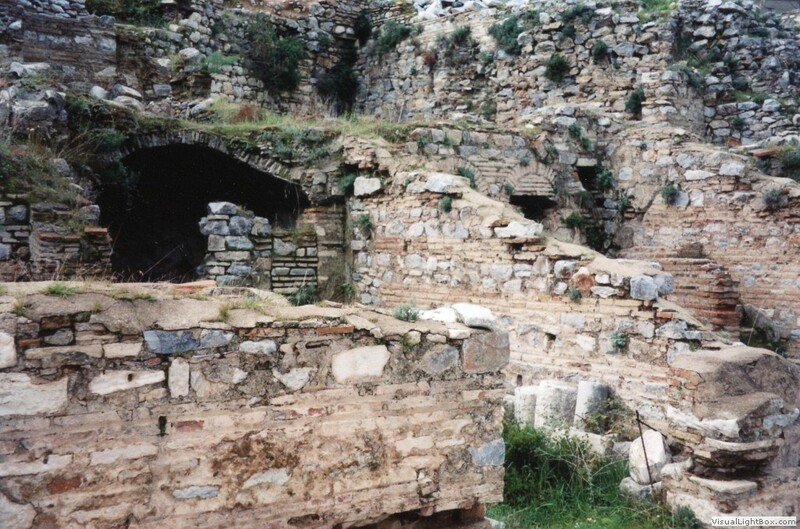 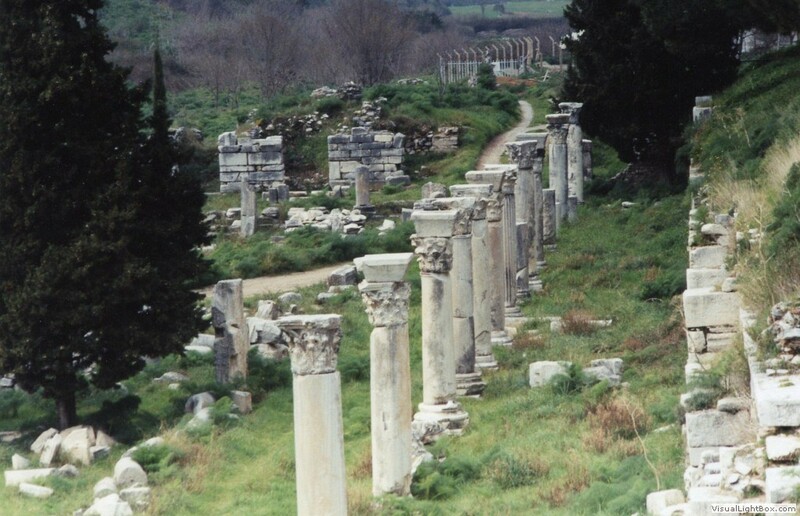 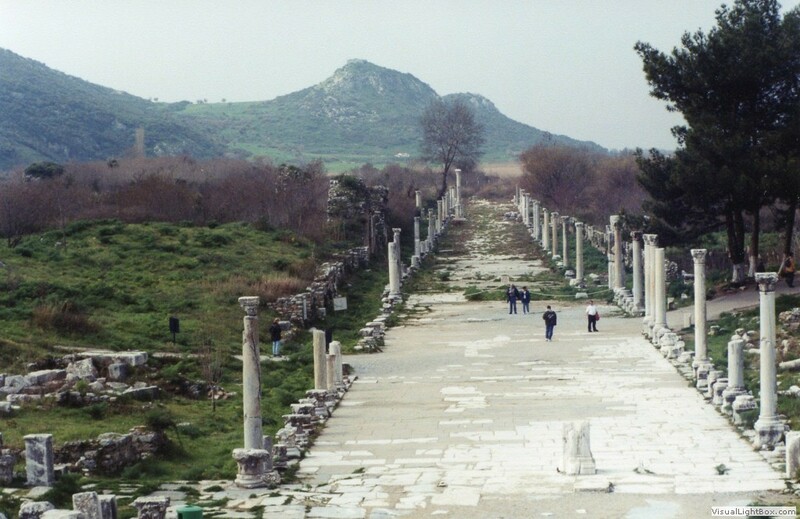 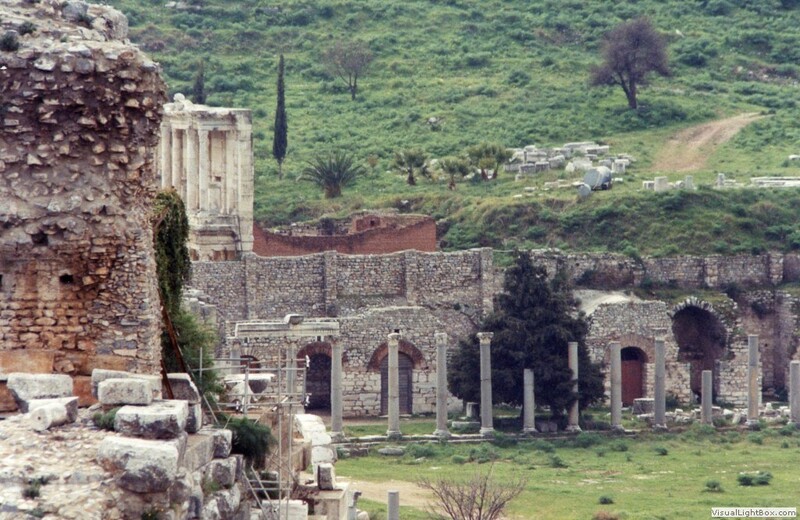 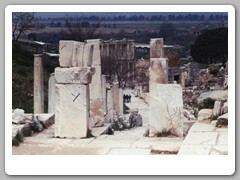 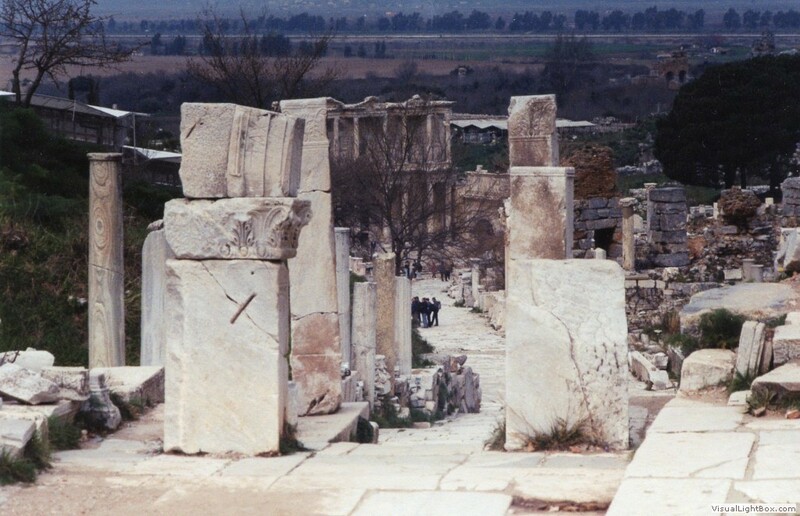 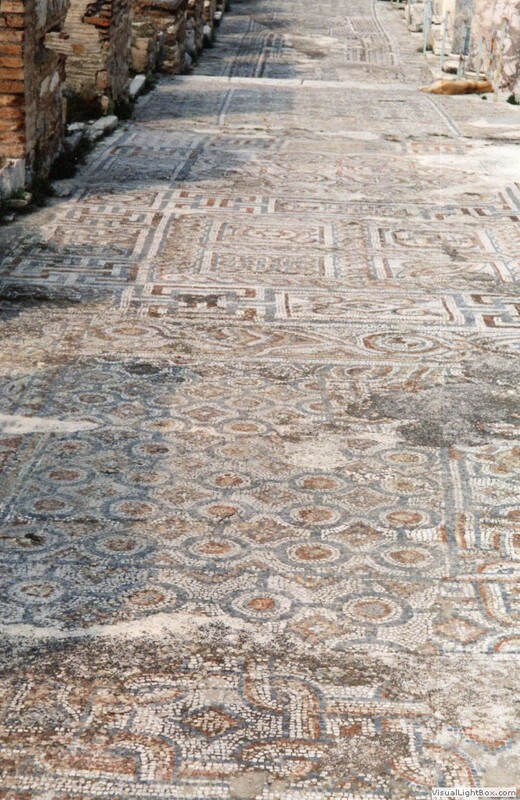 Ephesus' Harbor Road was one of the few lit streets of antiquity. 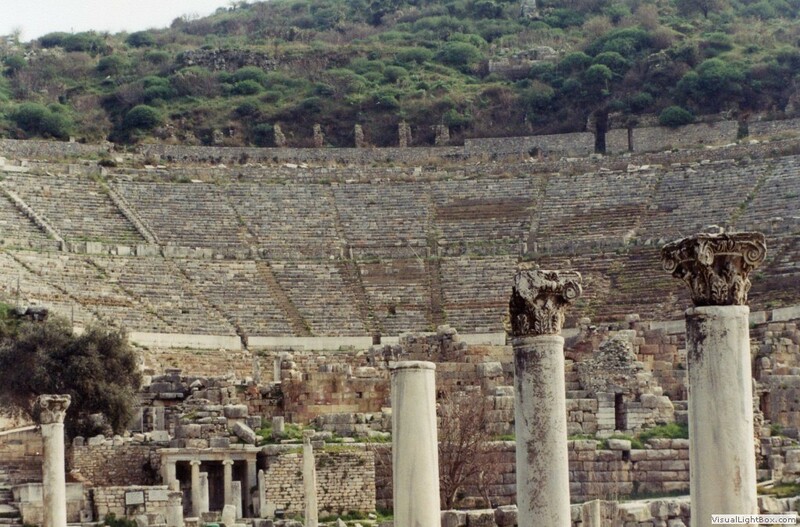 Today, Ephesus is one of the few ancient sites in the world that comes to life not only by day, but also by night when music and drama is still performed in its theater.